This server is now discontinued. MineRealm Creative is a unique creative server, up 24/7 on a server with 16GB of RAM. All extra features, such as the world system, are coded by our own team of developers. These features are 100% custom and unique to MineRealm. Server launches at 2:00PM PST, March 29, 2011. This is gonna be one mess of a server. I Can Go Back To My Favourite Server! 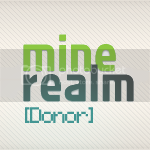 I just want to let people know that creative.minerealm.com works as well, if you either like typing an extra letter or are nostalgic, as I am. You sir, just won 500 internets. NOTE: there is a way to die on creative, It should be fixed. 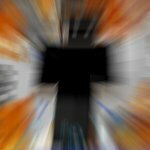 If you place a block of tnt, then attach it to a lever or some kind of redstone power source, it will blow up, and harm you.